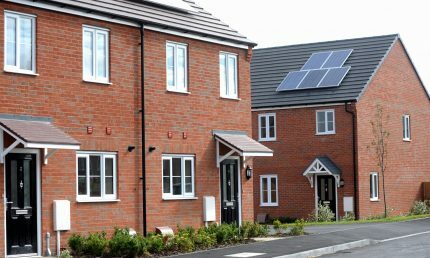 It’s a case of design inspiration at a new development in Leamington that is seeing the creation of a new church and affordable homes. 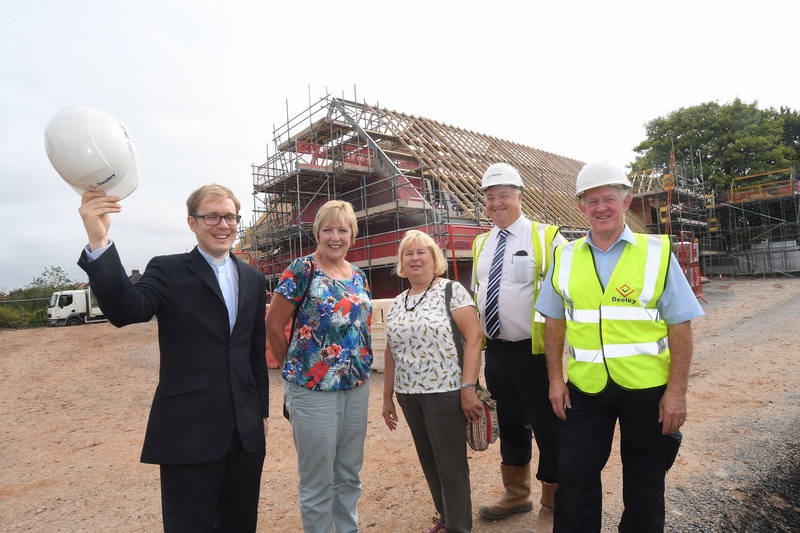 Lillington Free Church building, which was built on Cubbington Road in 1966, has been demolished to make way for a brand new, state-of-the-art place of worship as well as 25 shared ownership homes, including six apartments, 12 two-bedroom houses and seven three-bedroom houses. The work on the scheme – which has now reached its highest point – is being carried out by Deeley Construction in partnership with the church and Orbit. 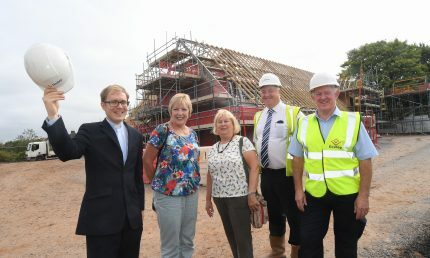 Once the new church, which will include a new PA system and solar panels on the roof, has been completed, the nearby church hall – constructed in the 1950s – will be demolished and a range of community activities will be staged in the new building. 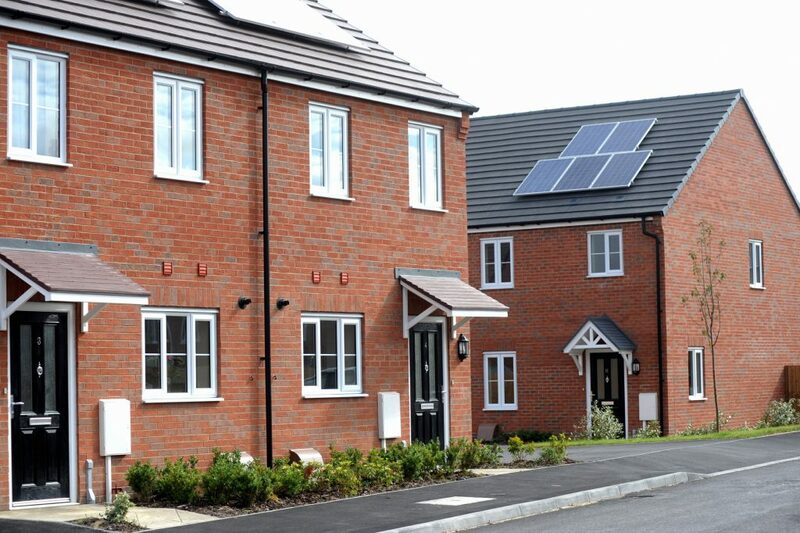 It will also create space for some of the homes which are included in the plans for the site. The official opening of the new church building is scheduled for March 9, 2019, and the Reverend James Church said the work was positive news for parishioners and the local community. He said: “We’ve had support from local politicians and the local community as this is going to bring a new facility as well as much-needed affordable homes to the area. “The previous building was in need of a great deal of work to make it fit for modern purposes and, in the end, it made more sense to knock it down and start again. “The new church will have a kitchen, toilets and meeting rooms all under one roof when, previously, we had to use the old church hall for those purposes. Lillington Free Church will hold its final Macmillan Coffee Morning in the community building on Saturday, September 1, ahead of the demolition of the building next year with all local people welcome. Andy Bodily, Contracts Manager at Deeley Construction, said: “This scheme shows what can be done with some creative thinking and a strong partnership, which is exactly what we have here. Buckingham MP John Bercow has helped herald a hat-trick of investments which has seen a new commercial development call full house. AC Lloyd and development manager Minns Network has developed three industrial units totalling 70,000 sq ft approx. (6,500 sq m) at Kites Park in Princes Risborough – and all three have been snapped up. Two companies – the iLECSYS Group and Curtains & Linens – have moved into the area to take up space while All Bar Products is expanding into a new unit on the development off Summerleys Road. 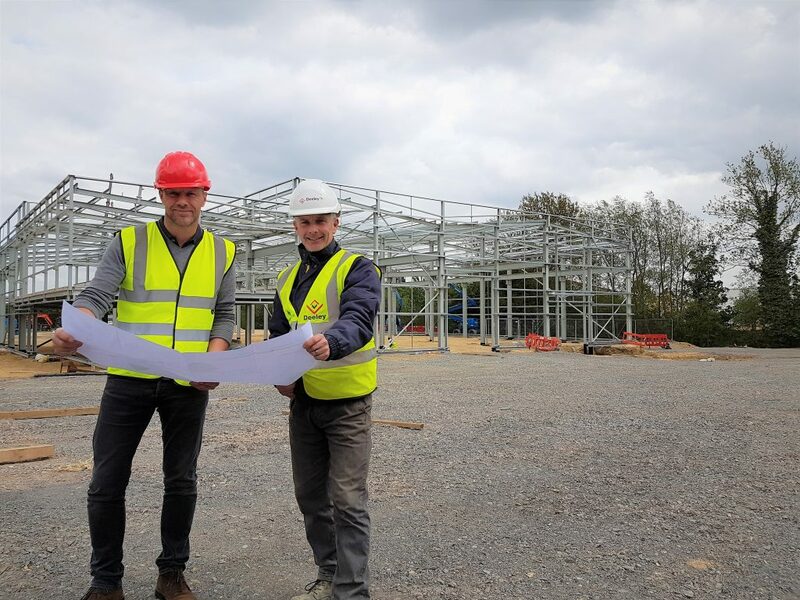 iLECSYS, which employs around 50 staff and works in the industrial controls sector, has already relocated from Tring into a 39,000 sq ft manufacturing complex, while the other two units are due for completion later in the summer. Curtains & Linens, which was founded 10 years ago in Hounslow, is taking 26,000 sq ft, while All Bar Products, is expanding from its unit on an adjacent estate, into 5,000 sq ft.
Bercow was given a tour of iLECSYS and the construction site as part of a visit to see the level of investment. 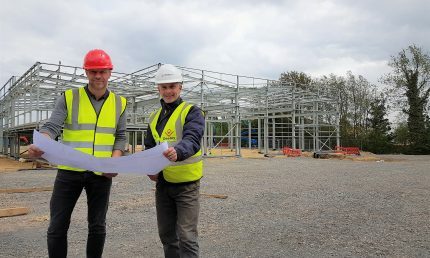 He said: “It is great to see three owner-managed businesses – in three three very different sectors – expanding their operations here in Princes Risborough. “All the firms are trading successfully and it is vital that we can offer suitable sites both for expanding local companies who want to stay in the area and retain their workforce while growing their operation, as well as for companies looking to invest into the area. Des Wynne, of AC Lloyd, said the development – which is being built by Deeley Construction – is a valuable addition to the local economy. “Princes Risborough is a thriving location, with significant expansion and improved road and rail links proposed for the town within the emerging Wycombe Local Plan. Occupier demand has proved to be particularly strong here, which reflects well on the area on several levels – location, environment and the workforce,” he said. “The units will allow the companies to realise their growth plans and hopefully continue to employ more people. 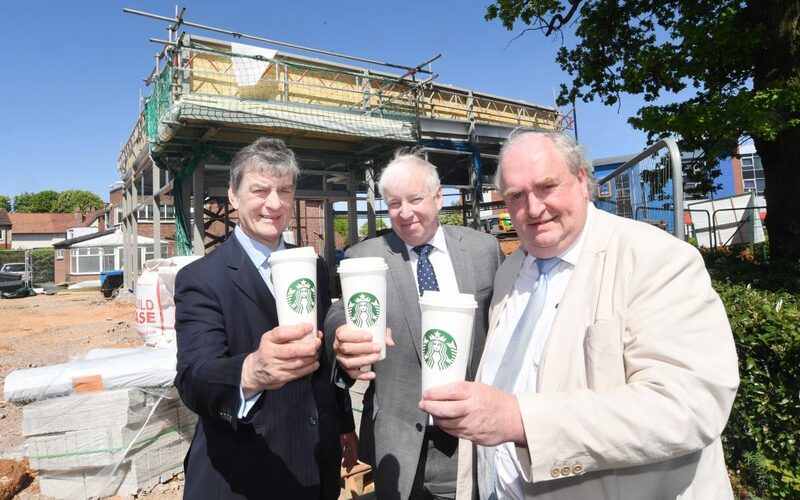 All three companies are purchasing their units which will help cement their futures here in Princes Risborough. Picture caption: Left to right – Graham Hill (Deeley Construction), Martin Gallagher (Deeley Construction), John Bercow, Des Wynne (AC Lloyd), Kevn Minns (Minns Development). Leading alternator manufacturer Mecc Alte UK is investing over £3.2 million as it expands its Oakham site to support its growing alternator business and the further expansion of sister company, Cabel UK. The state of the art facility includes over 33,000 sq. ft. of prime manufacturing, warehouse and distribution space which will service both businesses and provide a third facility within the UK. This latest development for the Rutland based business is essential as the Italian owned companies embark on a strategic expansion journey within the UK and across the global alternator sector. It is also broadening its services and repairs for specialist rotating and electrical equipment through Cabel UK. 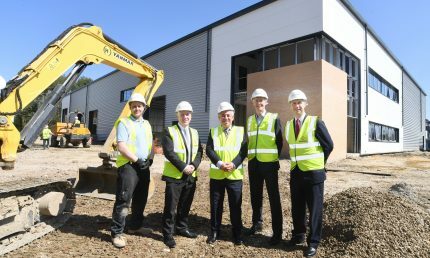 The new site will also increase the workforce over four years and will look to recruit specialist engineers, skilled operatives and apprentices from the local area for Cabel UK. Cabel UK was formed in 2009 with just two people working in the business. It has undergone significant year on year growth, across the power generation for repair, service and rewind work and has taken its workforce into double figures since it started. 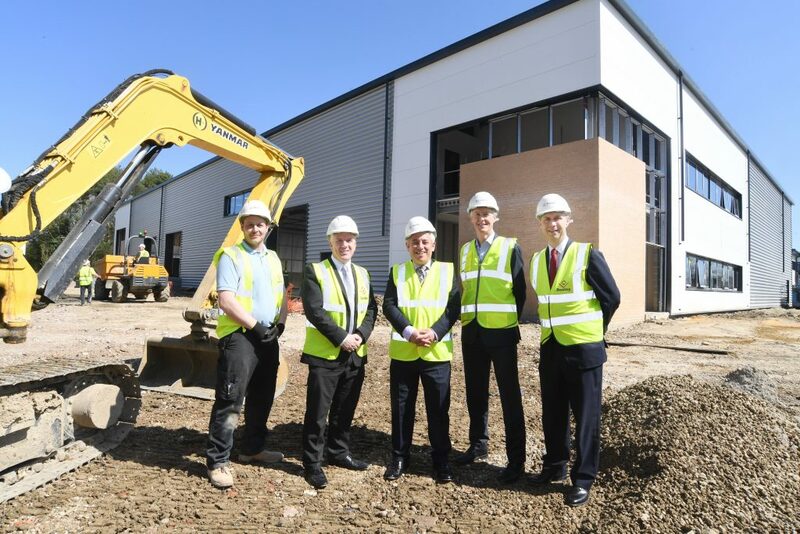 This new facility will enable Cabel UK to increase its ability to supply more OEM parts and materials, incorporate the latest diagnostics technologies, materials, skills and processes to deliver first rate, flexible and responsive service. This includes AC and DC motors, generators, pumps, transformers as well as any electrical device that uses copper wire at its core. For Mecc Alte UK, the facility will allow the company to increase warehouse capacity and introduce more product lines. This year the company revolutionised the alternator sector with the launch of its new C-Type series which will be manufactured in Oakham. Andrew Bell, Managing Director, Cabel UK and Mecc Alte UK said: “We are very excited to announce these plans for a third site as part of our strategic vision and growth plan. It cements our commitment to expand Mecc Alte UK and Cabel UK’s footprint in the local area. Work is already underway on the new site at Land’s End Way by contractor Deeley Construction and will be completed in November 2018. The Deeley Group – which plays a positive role in the community across Coventry, Warwickshire and the wider West Midlands – has formed a partnership with a charity aimed at rebuilding people’s lives. 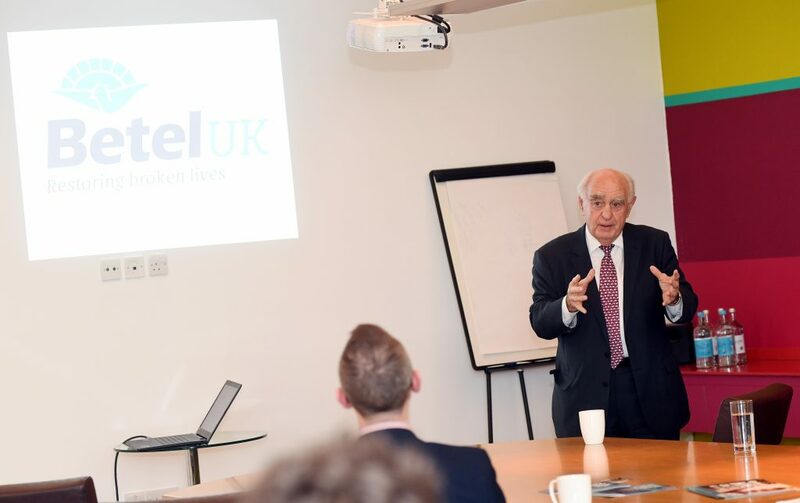 The property company hosted Betel UK at its headquarters in Coventry and welcomed other key figures from business to hear from the charity that supports people with addiction who find themselves homeless. The charity, which relies on donations, grants and gifts-in-kind, provides an innovative approach to recovery for those living on the streets as they offer residencies throughout the UK – including one in New Arley, Warwickshire, where they also gain job skills in everything from furniture repair to house removals. Through this unique approach, they can fund their own recovery by working in the charitable businesses established by Betel. 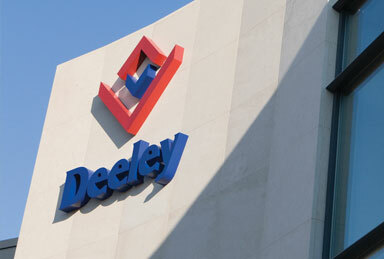 The Deeley Group is now helping to raise the organisation’s profile to help drive more support. Timon Robins, of Betel UK, said: “Betel UK provides an innovative approach to recovery for those living on the streets and struggling to overcome addiction. “Throughout the UK, they have residences where men and women enter and live for free in a family atmosphere where they build meaningful relationships, inspiring hope and self-esteem. “Betel residents also gain job skills in a variety of areas including furniture repair and restoration, upholstery, house removals and clearances, landscaping and tree surgery, furniture shop sales and catering. “Using these skills, they help to fund their own recovery by working in the charitable businesses. This significantly reduces the financial burden on their families and the government while restoring dignity and a sense of purpose. The result is that, on leaving Betel, they contribute positively to society and see their families restored. 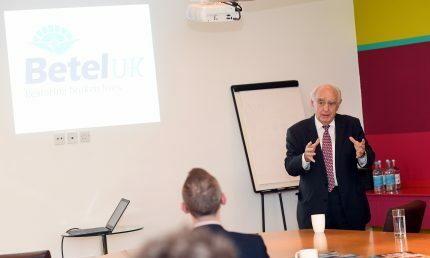 Peter Deeley, Managing Director of the Deeley Group, said: “We were delighted to welcome Betel to our headquarters and to hear the fantastic work that they do.